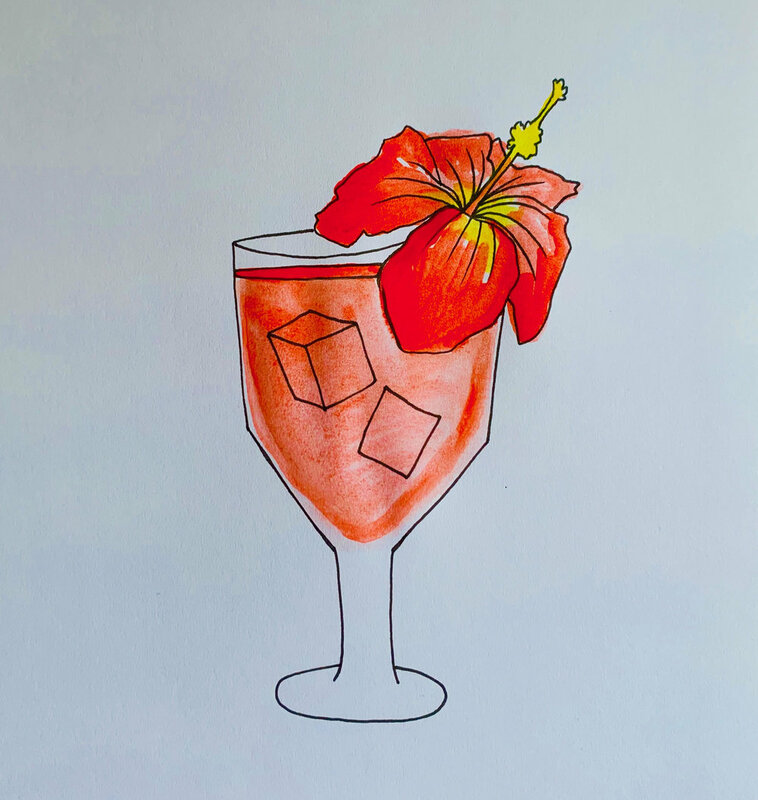 This drink glows a bright, hypnotic pink in the light, making it a perfect day-drinking cocktail. Pairs well with a view of water, naps in the sun, and our conversation with the equally bright, equally delightful Erika Meitner. *Your ratios are your own—Mix it to taste!